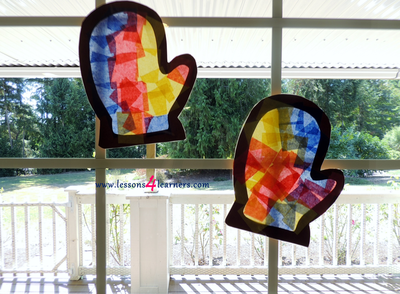 When the child is done making their pattern, place another piece of contact paper on the opposite side, sealing the stained glass mitten inside. 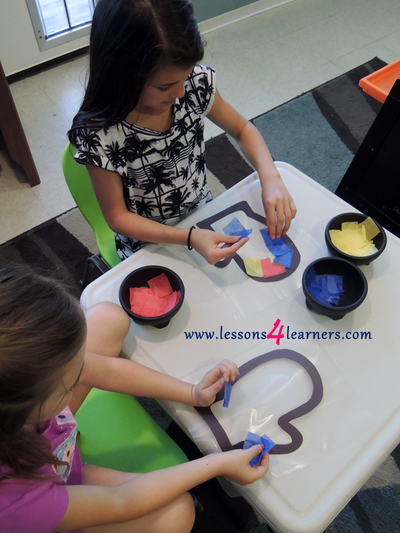 **If adapting this lesson for preschoolers, have them cut out the tissue paper squares as well as the contact paper mitten to practice scissor skills. 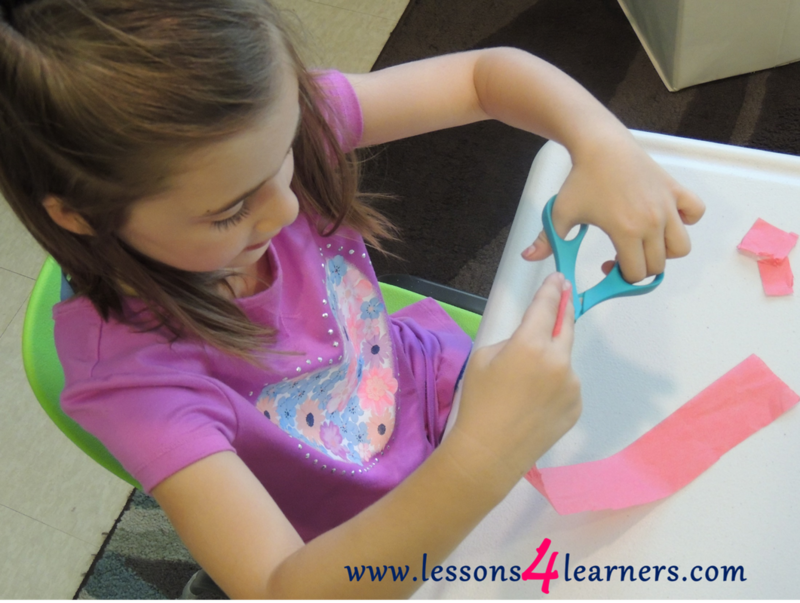 Observe and record the student’s fine motor skills. 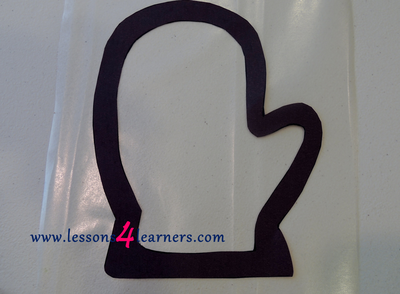 Were they able to use a pincer grip (the ability to pick up small items using the thumb and index finger)? Budgets are tight. Whether it’s in the classroom or at home. Have you ever found that a young child is more excited about the box or wrappings of the gift than the toy itself? Or wondered why a child may have a large selection of toys, but instead wants to pull out the Tupperware and the measuring cups? 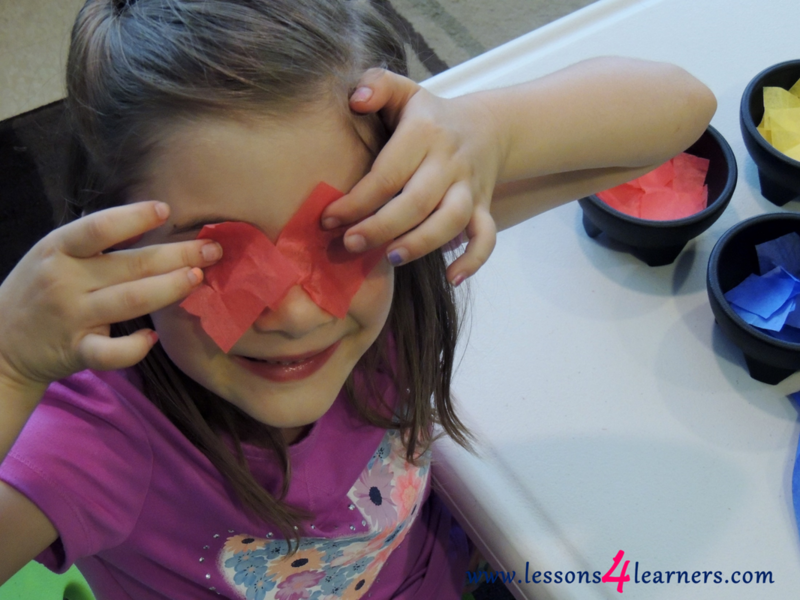 The point of these sensory activities is to allow children to explore different textures of items that may be found in the home or closet. These items are easily used with other materials in the room scaffolding the sensory experience. 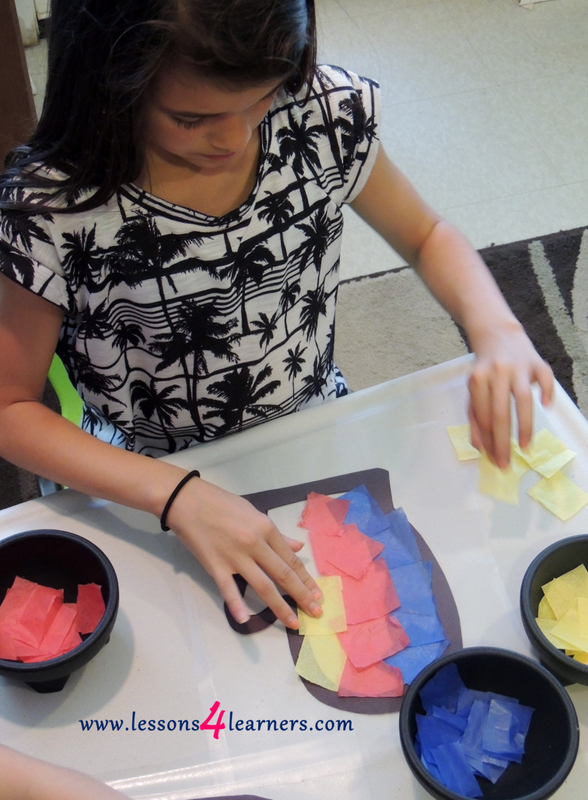 Here are a few ideas for two sensory baskets that children really enjoy. Everything came from the discount store or were gifts that we received but never used. They are items we might not think of first when putting together a sensory container and are easy to store and pull out at a moment’s notice. A hand made crocheted square (free), self-hold curlers (1.00) , a dog grooming mitten ($1.00), dish scrubbing pads ($1.00) , shower gloves (free), cotton gloves usually used to wear at night to soften hands (free), basket (.50).